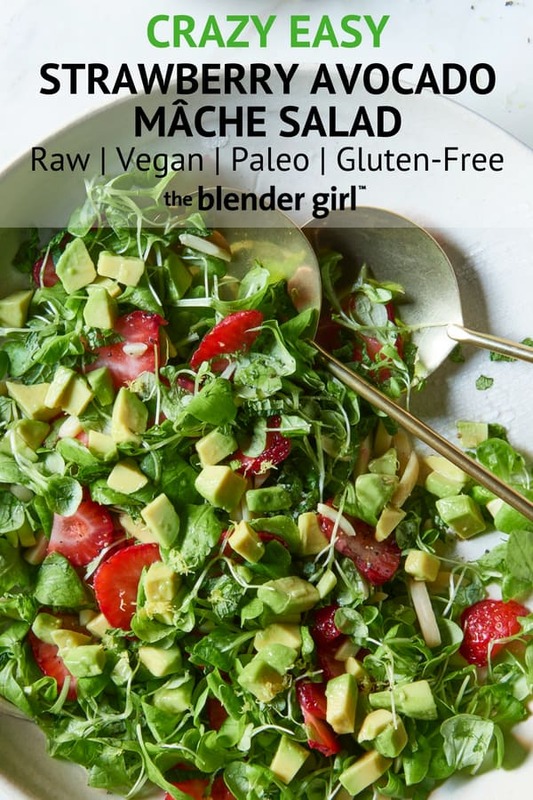 This strawberry, avocado, and mâche salad is beautiful and full of fresh flavors and stunning colors. This is an elegant salad for lunch or dinner. 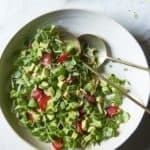 This strawberry, avocado, and mâche salad is really beautiful and simple and full of fresh flavors and stunning colors. This is an elegant salad to serve for lunch or dinner. I got this salad from the Healthy Happy Vegan Kitchen cookbook by my sweet friend Kathy Patalsky and tonight is her book launch party. You may have Kathy’s first book, 365 Vegan Smoothies that came out last year. 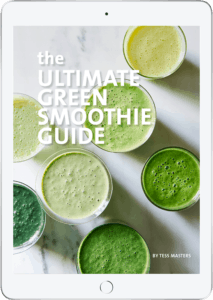 There are tons of awesome smoothies in that book! In this latest offering, Kathy shares over 220 delicious recipes for all occasions. No matter what you’re in the mood for Kathy has a recipe that will delight you. If you think you can’t enjoy vegan food this book will change your mind! Kathy makes it so easy and fun to be vegan. And she’s just so darn cute that you want to be a part of anything she does. Kathy opens the book by sharing her story and all of her favorite kitchen tools and pantry staples to make the recipes really accessible and doable for everybody. I particularly love Kathy’s Ten Tips For New or Test-Run Vegans and her Ten Tips For Wellness. Then, the book is just chock-full of wonderful recipes which are broken into courses: breakfast; bowls; appetizers, sides, snacks, and party platters; entrees, sandwiches, burgers, soups, veggie sides, salads, kids recipes, desserts, cakes, bakery items, and then menus the whole family can enjoy. Some of my favorites for breakfast include: Apple Pancakes, Double Chocolate Waffles, and Pumpkin Butter Breakfast Sandwich. I don’t make burgers and sandwiches, so I loved making the Phily Cheese Sandwich, Tempeh Reuben, Mushroom Marinara Sandwich, and you must try her signature Sweet Potato Veggie Burger! I always head to the soups chapter in any book because of my penchant for warm bowls. Check out the Clam Chowder, Smoky Pea Soup, or the White Velvet Roasted Yam Soup. One of my favorite sections in the book is the bowls chapter. Hearty bowls are such easy meals, and Kathy has some great combinations. Try the Black Rice Peanut Kale Bowl, the Coconut Cloud Bowl, and the Cajun Tempeh Sweet Potato Bowl. Or try other entrees like Creamy Cashew Potpie, Lasagna Verde, Lemon Pepper Fettuccini Alfredo, or Quesadillas. For the ultimate delights, there’s awesome desserts like Gingerbread Bundt Cake, Almond Butter-Jam Thumbprint Cookies, Pumpkin-Pecan Cinnamon Rolls, Caramel Apple Pie, Choco-Peanut-Banana Snowstorm, and Maple Bar Baked Donuts. 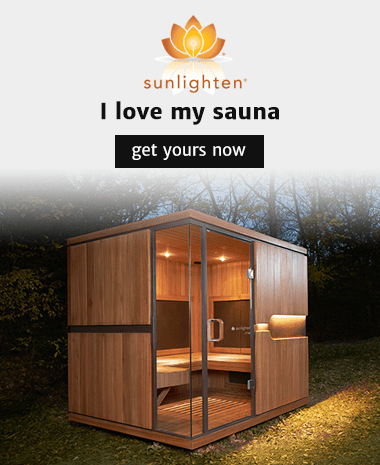 Oh, I could go on! I will be referring to the dessert section of this book for many a dinner party in the future. But, back to everyday reality! If you’re looking for awesome side dishes, try the easy mashed potatoes, cheezy broccoli, maple sage butternut squash. and spicy-sweet curried carrot raisin slaw. I love salads, and there’s so many fantastic simple fresh ideas in this book. I really enjoyed the Tofu Feta, Watermelon, and Basil Salad, Summer Caesar, and Farmhouse Ranch Chickpea and Peach Salad. . There are so many fabulous easy ideas in this book. This is pure comfort yumminess! Get your copy of Healthy Happy Vegan Kitchen and learn more about Kathy Patalsky. Toss the mâche in 1 tablespoon lemon juice and olive oil. Divide between two serving plates. Gently toss the avocado with the strawberries, mint, and lemon zest. Arrange over the mâche. Sprinkle the hemp seeds over the top, and garnish with mint and additional lemon juice to taste. Season with salt and freshly ground black pepper to taste.